The Darling River, Australia’s longest, runs 2,740km through Outback NSW. Part of the Murray-Darling Basin, the Darling River system is fed primarily from the summer rains of southern Queensland and makes its journey south-west across the state to Wentworth where it joins the mighty Murray River. The two rivers continue their journey (as the Murray River) to Lake Alexandrina and into the Southern Ocean. The ‘Run’ is a 730km drive that starts either at Wentworth where you travel up river or at Walgett and follows the course of the Barwon River past Brewarrina onto its junction with the Bogan and together they flow, as the Darling River to Bourke, Louth, Tilpa, Wilcannia, Menindee, Pooncarie and then on to the confluence with the mighty Murray River at Wentworth. 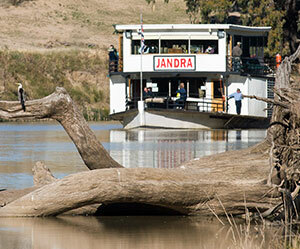 Here’s a 14 day sample Darling River Run itinerary you can follow. The Darling River Run is not simply a Point A to Point B drive but as the river forms the ‘spine’ of Outback NSW, the journey provides the perfect tour to not only experience the Darling River and the towns along its course but also enables the traveller to experience the best of Outback NSW via the many side trips on offer that allows the visitor to access the surrounding area of the Darling River. Unique towns (Lightning Ridge and White Cliffs), wonderful National Parks (Paroo-Darling, Gundabooka, Mutawintji, Kinchega, and Mungo), the remote Corner Country (Milparinka, Tibooburra and the magnificent Sturt National Park), and not forgetting Australia’s first heritage town in western NSW, Broken Hill. The Darling River Run allows the traveller to experience some of the best Outback country in Australia; flora, fauna, wondrous landscapes, outback characters and truly remarkable sunrises and sunsets. 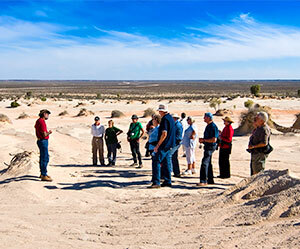 Drive along one of the grandest river’s in Australia; through an historically and culturally rich area steeped in not only Indigenous history, spirituality and living culture, but also European history and explorative efforts by iconic Australians like Burke & Wills, Sturt and Major Mitchell. 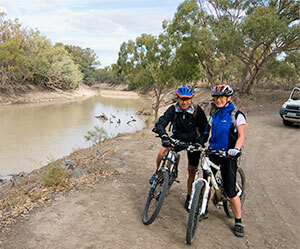 The Darling River Run can be undertaken in whole or in part, that is the beauty of this adventure. Many people cover particular sections of the Run enroute to or from other parts of Outback NSW and beyond or take one of the many side-trips and then rejoin the Run to continue along the course of the Darling River. If you plan to visit NSW, The Darling River Run is the best way to experience all the options available. 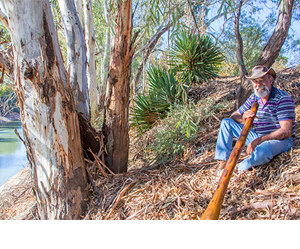 A true Outback experience awaits those who plan to travel outback NSW.